This 2 bed + 2 full bath custom built ranch style home features a master suite with dual closets and a full master bath, numerous large and lighted closets with some built in organizers, a built in desk and entertainment center, a dining room buffet, a large living room with a gas log fireplace and picture windows to let in the natural light. Plenty of additional space in the painted + drywalled partial basement. Recent updates include sump pump, furnace, and central air. Outside is the 2 car attached garage, the fenced back yard, and the patio. Home is equipped with washer, dryer, refrigerator, microwave, dishwasher, and garbage disposal. Immediate occupancy available. Home is in Cass County and the Niles school district, and within 10 minutes of Ballard Elementary School and Howard/Ellis Elementary School, Ring Lardner Middle School, and Niles High School. 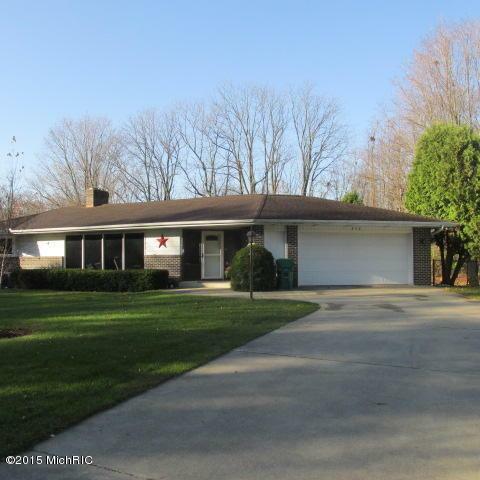 You can contact Berrien Property about this home at 269-695-9595, or click the links to search for more homes for sale in Niles, Michigan, or more homes for sale in Cass County MI. 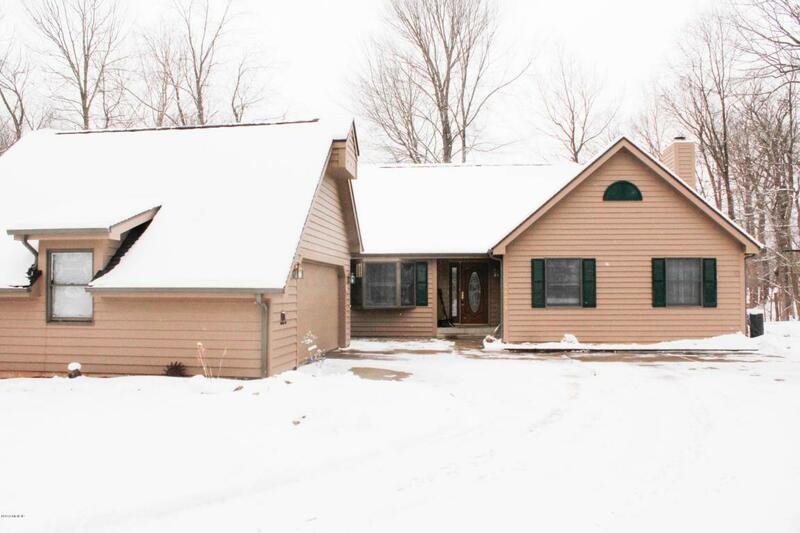 This 4 bed + 3 and a half bath ranch home sits on a secluded 1.2 acre lot on a private road, just minutes from I-94. Equipped with refrigerator, range, oven, dishwasher, and garbage disposal. Home features a spacious living room with lots of natural light, a formal dining room that overlooks the front yard, a large open kitchen with breakfast bar + small dining area as well as updates including new countertops in 2015 and a sliding glass door which leads from the kitchen to the large wraparound deck, perfect for outdoor relaxation. Property includes 2 heated garages, 2 car attached and 2 car detached. A finished area above the detached garage would make a great craft room or office, and the compressor in that garage stays. Home is in Van Buren County and the Paw Paw school district, and is within 15 minutes of Paw Paw Early Elementary School, Paw Paw Later Elementary School, Paw Paw Middle School, and Paw Paw High School. Maple Beach is a 66 acre wooded condo site located on Wagner Lake in Berrien County Michigan. 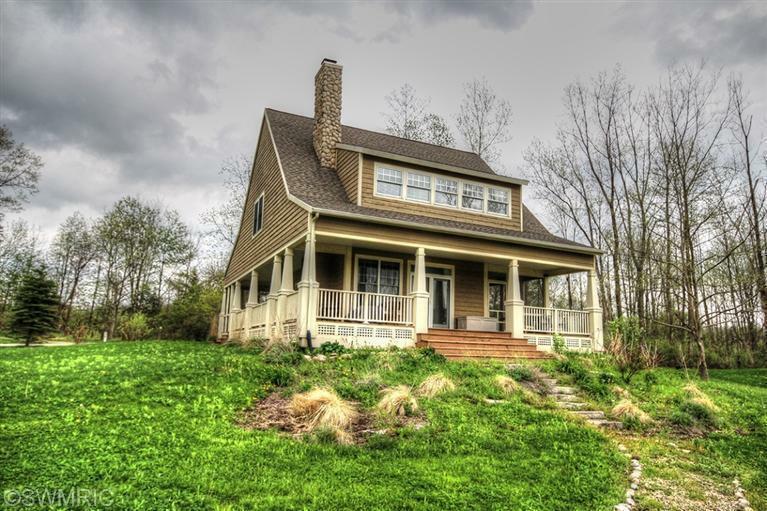 This 4 bed + 3 full bath Cape Cod style home is situated lakefront with gorgeous views, and just steps away from the association swimming pool and beach. Home features large bedrooms plus a bunk room for extra guests, hardwood floors, main floor laundry, fireplace, enclosed and open decks, master suite. Open area on second floor easily put to whatever use you need. County location allows for running, walking, or biking on the country roads. Less than 2 hours from Chicago and just 35 minutes to Notre Dame! Call Berrien Property about this place at 269-695-9595 so we can help make it your own. If this particular lake house doesn't float your boat, feel free to search for more Wagner Lake homes for sale, more Maple Beach homes for sale, more Waterfront Homes in Southwest Michigan, or more homes for sale in Berrien County MI. We also have searches saved for Lakefront Berrien County Homes, Lakefront Cass County Homes, and Lakefront Van Buren County Homes. You can modify the parameters of any saved search to help find what you're looking for. 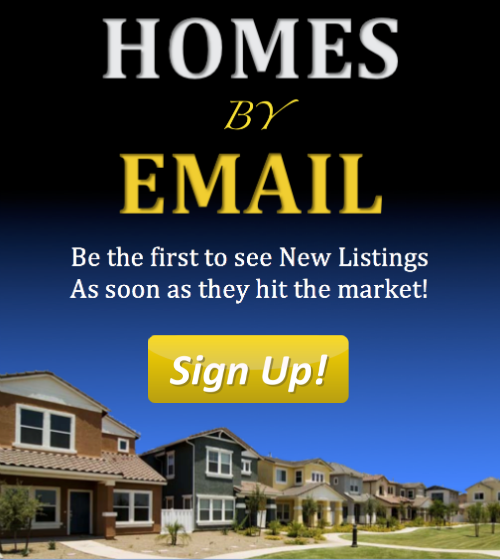 And you can always head back to our Home Page or the Advanced Search Page to get started on finding your ideal piece of Southwestern Michigan real estate.